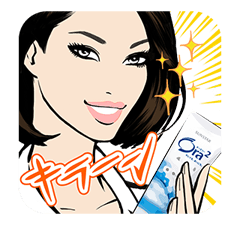 http://www.line-stickers.com/ – Ora 2 Beauties Line Sticker | Friend the Ora2 Beauties official account to get the first set of stickers from Ora 2 Beauties, newly created by illustrator Jason Brooks! 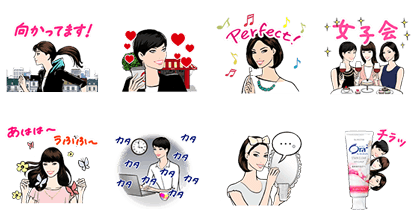 Hikaru, Yoko, and Anna from the TV commercials now star in their own animated sticker set! Friend Sunstarʹs official account to get them. Available till December 15, 2014.